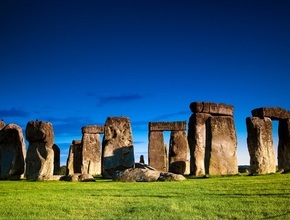 The most famous prehistoric monument in the world, and now a world heritage site, Stonehenge stands alone in the vast empty tract of Salisbury plain. Its origins date back nearly 5,000 years and it has been home to pagan religion and spiritual worship, not to be mention public debate ever since. What was this vast collection of stones intended for? Was it observatory of the moon, a temple to the sun, or an elaborate cemetery? Who were the people who carried and carved these 40 ton rocks? Come and unlock the secrets for yourself and marvel at this remarkable and mysterious feat of ancient engineering and design. Next we head to Bath and arrive in time for lunch. With fabulous restaurants, tea houses, sandwich and coffee shops, not to mention all the classic British pubs, you will be spoilt for choice of places to eat. Bath is a beautiful Georgian city with delightful crescents, terraces and architecture. Following our scenic drive into the heart of the city, there will be plenty of time to explore at your leisure. 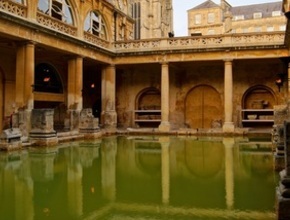 Your ticket includes entrance to the Roman Baths that were built nearly 2,000 years ago. Built on Britain's only natural hot water spring lies the magnificent Roman public bath complex and Roman temple. At the heart of the World Heritage Site you can walk around the steaming pool on the Roman stone paving and admire the ancient Roman statues and architecture. 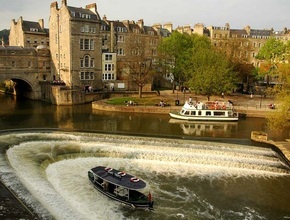 See Bath Abbey and Pulteney Bridge overlooking the river Avon cascading over the weir. Then there is the Jane Austen Centre and the elegant Assembly Rooms built in 1771. And you can shop, explore and take afternoon tea in the Pump Rooms while listening to the live classical music. With so much to see and do you will be glad that you have so much free time. Arrive back in London approximately at 7.30pm. This tour will conclude in/near Victoria station at approximately 7.30pm. During peak periods additional vehicles without Wi-Fi may be used. Today I took the stonehenge and Bath tour, everything was excellent. I'd like to point out the great guide we have, Adrian. He was really helpful and provided us of much interesting information!